At the 100 Alabama Miles Challenge, we support all programs that work to help people be active, go explore, and connect with others! One of these programs is the Birmingham chapter of Trips for Kids, which was started in 2013. 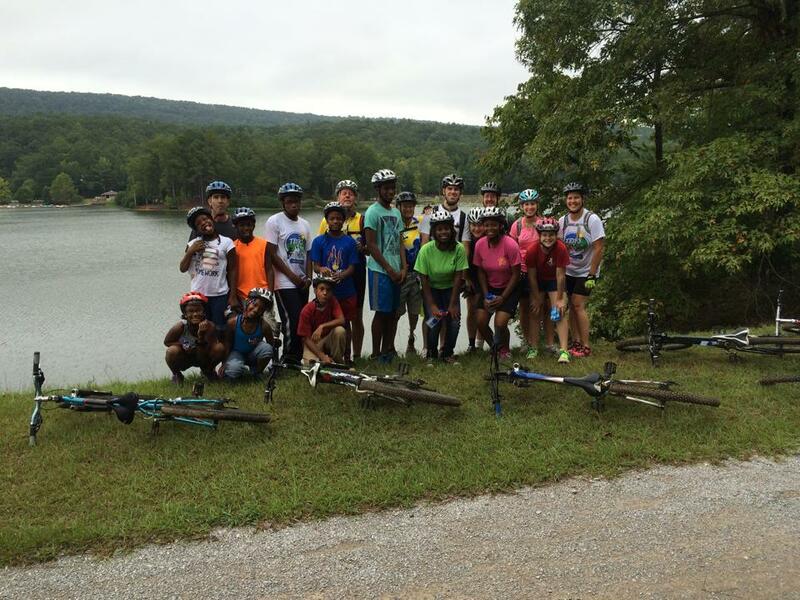 Since that time they have hosted over 850 inner city kids aged 10 to 15 on mountain bike rides at Oak Mountain State Park. They cover the cost of everything except transportation for participants. This includes trained and skilled volunteers, bikes, helmets, snacks, water, lunch and the park entrance fee is waived. Groups who have ridden with them include: the Downtown Y Youth Center, A.G. Gaston Boys and Girls Club of Bessemer Boys and Girls Club of Brookside, Dream Center, East Lake Methodist After School Program, Big Brothers / Big Sisters, Northstar Ministries, ASPIRE (mentoring group), and Highropes (mentoring group). In August of 2016 they opened a ReCyclery or bike thrift shop. They take donations of used bikes and sell them to the public. The sales generate revenue for the bike shop overhead and support their Ride Program and Earn-a-Bike programs. Four students from Avondale Elementary attended six 1-hour classes and performed 3 hours of community service. They were able to select a bike and when they graduated had earned a bike, helmet and lock. Through the classes they learned how to change a flat tire and also about maintenance, safety and repair. Click to watch a video of one of their trips with Northstar Ministries at Oak Mountain State Park! Interested in learning more about Trips for Kids? Check them out at http://tripsforkidsbirmingham.org/. Biking is a great way to get in your 100 Alabama Miles! Give it a try on the streets or hit the trails.